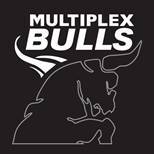 The battle for top spot in the AFL Middle east competition was decided when the Multiplex Bulls journeyed to Abu Dhabi to play the Falcons at Zayed Sports City. Going into the game, the Bulls, Falcons, Dingoes and Dragons were all locked on one win each. The Bulls won the Round Four match in windy conditions and after a titanic struggle. The Falcons put up enormous resistance, with the Bulls conceding they were a very strong outfit. They are a much improved side and still have two games to play to make a play for a grand final place. The Bulls, determined to finally grab an elusive premiership after twice being runners -up since their debut season, have an air of menace about them. Debuting four new players in Abu Dhabi due to a number of players being unavailable, the Bulls have great depth. It could be this depth that sees them better placed for their maiden premiership. The AFL Middle East season now goes into the winter break, with matches resuming on January 20th. That game will see the Bulls put that depth to another test as they meet the also improved Entertainer Dubai Dingoes in the Round Five match. A win for the Bulls will almost certainly lock in a third grand final appearance, however the Dingoes are determined to show how far they have come this season and will put up a huge fight. The following week will see the Abu Dhabi Falcons hosting the Dubai Dragons in a match which will have a big say on the run to the final. It shapes as one of the closest competitions for years, with even bottom side the Doha Kangaroos in the race with two home games to go. There is plenty of excitement still to come in this AFL Middle East season.